Predictably, upon release of the proposal Democrats burst forth to condemn the budget. A couple of Congressional Democrats eagerly, and with as much flourish as they could muster, termed the proposal “dead on arrival” which, like so much of what they say, is much ado about nothing. Every budget proposal from every president is “dead on arrival,” the word “proposal” being the operative word. A president’s proposal is merely a starting point. Since you can’t swing a dead cat without seeing the negative coverage of everything Trump says or does, this article will summarize the positive elements of the proposal. Trump’s proposal focuses on national defense areas by boosting spending on the military and border security. This focus is what Trump campaigned on, budget director Nick Mulvaney said. As reported on foxnews.com, Mulvaney said, “There’s not a single thing [cut] from Social Security or Medicare. Why? Because that’s what he promised.” However, other programs such as Medicaid and food stamps will see cuts. Focusing on national defense through restoring the military and tightening our borders are badly needed corrections to critical failures of the Obama administration. The last eight years saw serious weakening of the military and policies that encouraged illegal entry into the country. The plan addresses the dangerously high national debt of nearly $20 trillion and takes a fiscally responsible approach aimed at beginning the process of reducing the large annual deficits to zero in ten years, and perhaps produce a relatively small surplus by 2027. While this year’s deficit will be a little higher than last year’s, the initiatives contained in the plan will turn the habit of annual deficits around, if they are successful. Trump depends upon producing growth in our economy, although many economists say his goals are too optimistic. Modifications to the tax system are an important part of Trump’s plan, and include reducing tax brackets from seven to three with rates of 10, 25 and 35 percent, and will eliminate tax breaks to balance the loss of income to the Treasury from lower tax rates. Lower rates are a good thing; they leave taxpayers with more spendable dollars, which increases consumer spending and spurs economic activity that produces jobs, and new jobs produce additional taxpayers and increase tax collections. Big government types, which include most Democrats and liberals, believe cuts in federal spending are always a bad thing. But cuts can be made without hurting people who truly need the government payments they receive. The Trump proposal cuts almost $3.6 trillion from an array of benefit programs, domestic agencies and war spending over the coming decade, including Medicaid, student loan subsidies, food stamps, and the highway formula for the states. 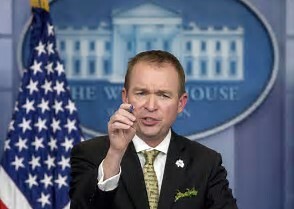 “We are not kicking anybody off any program who needs it,” said Mulvaney, who explained that the proposal doesn’t cut Medicaid, just grows it more slowly over 10 years. However, while cutting some federal spending, the plan features one major new domestic initiative: paid parental leave estimated to cost $25 billion over the next decade. But in this discussion of cuts let us not forget that waste, fraud and abuse account for billions of dollars of federal spending annually that accomplish nothing. GovTechWorks.com reports on federal estimates showing “Improper payments account for about 5 cents of every Medicaid dollar, … or about $29.1 billion of the $547.7 billion program in 2015 alone,” through intentional deception or misrepresentation; inappropriate use of services and resources; and practices inconsistent with sound fiscal, business or medical practices. And that is just one federal program. Ending or reducing those problems will go a long way to counter spending cuts. Those who believe the federal government cannot spend less and accomplish just as much good are living in Fantasy Land. Too many people automatically believe the scare mongering of those who profit politically from supporting high levels of spending.